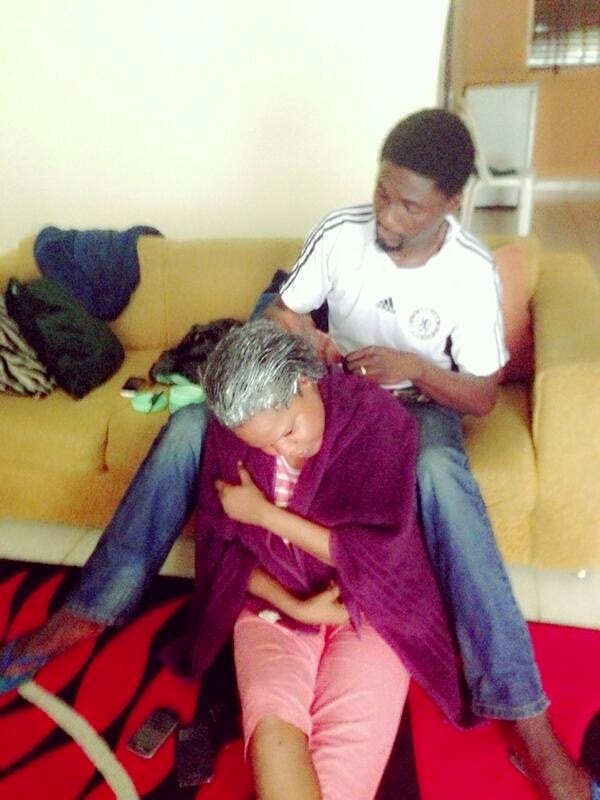 June 23, 2014 – Toyin Aimakhu’s Husband Relaxing Her Hair: Right Or Wrong? Yoruba actress Toyin Aimakhu has become the subject of an ongoing online controversy after she shared the above photo displaying her husband applying relaxer on her hair on the social media. For her husband to have helped her relax her hair inside their home is no issue at all but sharing it with fans is the problem… How can she share such a sensitive photo with fans. In Nigeria today, a woman like Toyin would be accused of using witchcraft to control her husband. Our culture perceives men as the head and any attempt made by any man to submit to his wife is often condemned. 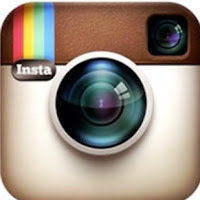 Do you support Toyin for sharing the above pic with fans???? Nigerians when are we going to grow out of tradition and flimzy talks? what is wrong with the sharing of the picture? what is wrong with a man (husband) helpinng his wife relaxing her hair…. it is one in a million task that anyone would or could do for anybody, why then does it become a big deal? so why are people inferring and giving it another interpretation?. From every point of view, there is nothing bad in what she has done, likewise it is not an offence for him to support his wife to do whatever task that is required of him, as long as he does not have any issue doing it then it no big deal. what difference would it make if she cuts his hair? is that a task a woman should take on, its all about perception, understanding and love. Oluranlowo la je fu ara wa, if Adeniyi is good at the task, why spend money! my husband has done countless task for me, would I consider his support/help as being a woman wrapper? No but an act of love and support for one another and respect him for that. We need to break away from all these stupid set down traditions, anciet ways of reasoning and embrace librealism ……. bu funnn mi kin bu fun e ni akere ke wo o odo…. e fi awon omo olomo sile kin won se aye won bo se wun won. Ka fi owo we e owo lowo fin mo. If that is what is goig to keep the marriage going, working and solid, why not do it…………… this marriage will for sure stand the test of times and prevail loruko Jesu, so eyin e lenu razor e gbo ju ni be. Dere is ntiing bad in dis.bt toyin never put it in public lyk dis.one luv keep u tugeda.toyin I still luv u gurl. This is nothing to feel worried or pas negative comment about. It does not really matter that the hubby is helping to take care of her hair. Some of us are found of making a mountain from a mole hill. Ride on Toyin and hubby. I wish you both well in life. I dont get it, wht’s wrng abt da pic? Do u lots dnt have sense of humour? That pic is ace swear dwn. Me dad does that to all his girls and me mum and he says yh ive just saved me bucks that culd have be handed over to them sallon ppl. It’s fun, man! Fink for a sec yh! Wht if he does that for a living and is doing it in a sallon wuld u say that is wrng? jealousy is killing them especially those who want husband but know where to get it and to those who is not happy in their marriage.This is what we called love and happiness in marriage,Two of them is helping each other. The husband’s hands look clean so i actually don’t think he relaxed her hair, but the biggest problem is, why would she post that on the net? Porridge just! Any way, its her business! senior house boy thing, lo. U people are jst something else.the poor woman is jst trying to tell us that her husband is thoughtful,caring,and romantic and u people are trying to take it to one stupid direction I dnt even understand Nawaoooo.my dear toyin dnt mind them jare they are jst bunch of hypocrites who are dying to have a thoughtful husband lik u have. I don’t see anything wrong for her husband to help her. In relaxing her hair but making it public is not right at all. Toyin,u need to be very carefully about open ur marriage to d whole world u need to be private,talking from experience. U all are bad belle people, wot’s d big in all dis now? Dis couple are one among many celebrities dat’re praying for happy home but reverse is d case 4 dos ones & now dat’ll see one instend of us to be happy for dem u’ve started condemning dem. Toyin & Niyi, pls don’t mind all dis people… enjoy urselves joo… Niyi, dir’s no big deal in helping ur wife, d bible says ‘we’re help mate’ den i av one question for u Niyi… if ur wife didn’t give u efo/vegetable, is it my wife dat’ll give u? Enjoy ur life joo, to hell with bad belle people, won envy yin ni o! Well, if u ask me, i dnt c anytin wrong in a husband assistin his wife by applyn relaxer on her head. I wld rada relax my wife‘s hair 4 her dan hvn her 2 go 2 a hair dressn salon own n oper8d by a man. She is my wife. Nw wat if her bk itches her yll am home, wld i call 4 help 4rm anoda outside 2 come n scratch her bk 4 her? Den whr is d love? If your husband can’t do the same with you, then that is your own business. Call him whatever name you like, it doesn’t change anything. You just have bad minds and mouths. That’s all. I do not see anything bad in this act. It shows a loving relationship. What about men who cook? would you call them senior house boy too? It is time we change our perspectives about life in Nigeria. In this world of today where both couple work to make ends meet, you do not leave the household chores to the woman alone. Sometimes I cook and I learnt how to cook when I was putting myself through the university. u have to make ur life private,i think she is addicted to social network & if care is not taking,she will soon blame herself for doing dis,u dont have to show us if ur home is sweet or upside down,toyin u need to learn from ur past relationship. tii isu eni baa tuu ,amafowo booje nii ooo,digest dat. SHE IS A FOOL AND HE IS A BIGGER FOOL……THE MONKIES…. STOP MAKING AN A$$ OF YOURSELFS, ITS 2014, YOU WANT TO FIX YOUR HAIR, TAKE IT TO A PRO…SIMPLE!!! AND THE HUBBY SHOULD GET AN ADDITIONAL JOB IF HE IS THAT BORED…SHM!!! love in the highest grade good 4u toyin enjoy urself girl. weave, after some days I asked my husband to help me to refixed the weave back for me even though he doesn’t know how to make hair he was willing to help me and I had to directed him how he would fixed it, so I think it’s so romantic for your spouse or boyfriend to make you hair for you or even cook for you. Hummm,funniest tin is dat dose pple dat criticize are d ones dat dose bad tins at d back, Toyin, it is well wif ur marriage. D luv 4 eachoda will never diminish. Why wont people mind there business,these is a matter of geninue love and care for loved ones you guyz should just try and emulate dat also. african palaver. My husband do help me to wash and we are born again christains. It is way of enjoying your love. Toyin my advice is dat the days are evil.